Charlotte Lozier Institute | November 25, 2014. In an effort to make the information more widely available, the Lozier Institute has been doing the work itself, contacting individual insurance companies and their customers to discern which plans do and do not offer elective abortion. The resulting website,obamacareabortion.com, was unveiled last week in conjunction with the Family Research Council, another anti-abortion group. Genevieve Plaster of the Charlotte Lozier Institute, the research arm of the pro-life Susan B. Anthony List, said that of the 5.4 million who purchased health insurance on the exchanges in 2014, 87 percent used federal subsidies to pay for their coverage. Many of these health plans covered abortions, she added. The Government Accountability Office – after many months and the release of a government watchdog report – found 1,036 of the plans sold in 2014 under ObamaCare included abortion on demand. The information for 2015 that is found at ObamacareAbortion.com is the result of the efforts of FRC and Lozier Institute “scouring” the Internet for answers. Today, Obamacareabortion.com was launched at a national news conference on the House Triangle. 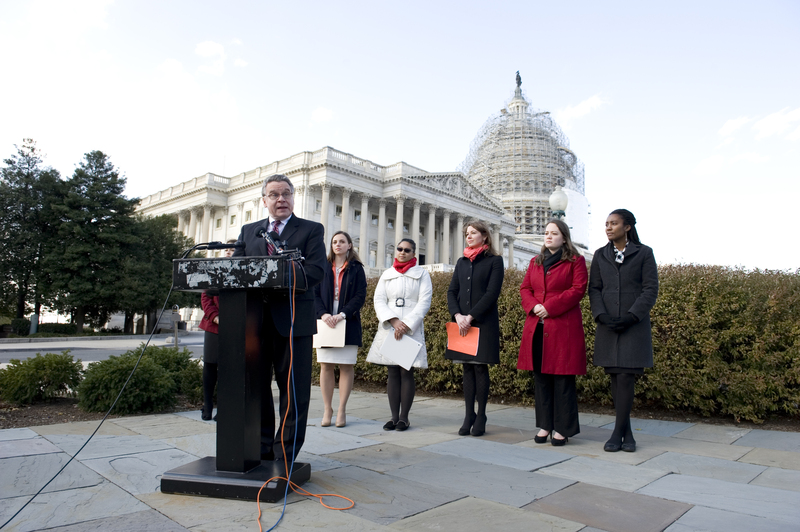 The lead researchers of the data presented in the site, experts atFamily Research Council (FRC) and Charlotte Lozier Institute (CLI), spoke at the event revealing their findings (http://www.obamacareabortion.com/factsheet). They were joined by U.S. Rep. Chris Smith (R-NJ), lead sponsor of the No Taxpayer FUNDING for Abortion and Abortion Insurance Full Disclosure Act. The new site educates and informs site visitors on whether or not their own plans force them to pay for elective abortions. Under ObamaCare, every state is required to offer at least one plan that does not cover abortion. But research from the Family Research Council and the Charlotte Lozier Institute has found that at least three states — with more than 100 plans altogether — are still not complying. “The 2015 enrollment appears to be shaping up to include more abortion plans and companies switching policies to cover abortion on demand,” a coalition of conservative groups wrote in a summary of findings, shared first with The Hill. However, if consumers want answers, they can now visit the website and get as much current information as researchers can acquire, said Genevieve Plaster, a researcher with Charlotte Lozier Institute. Ms. Plaster said they have been exploring these issues with companies since “day one” of the ACA, and they relied in part on a report issued in September by the Government Accountability Office. Due to the repeated failure of the Obama Administration to make good on promises for abortion transparency in the Affordable Care Act, pro-life leaders hope to inform consumers which Obamacare insurance carriers/plans include coverage of abortion and which do not. With “open season” beginning Nov. 15, the Charlotte Lozier Institute (CLI) and Family Research Council (FRC) have been examining healthcare.gov and state-based exchanges for general information on abortion coverage and the accessibility of that information.